Known as the "Sunshine State," it is no wonder that Florida is a magnet for vacationers and naturally, a hub of opportunity for people looking for jobs in the hospitality industry. Like most vacation destinations, the weather in Florida determines the high, low and shoulder seasons. In South Florida, high season is from mid-December to mid-April while low season will be during the summer months. In northern Florida the reverse is true. As the weather is a bit cooler, high season will be from Memorial to Labor Day and low season will be during the winter months. Both regions share a similar shoulder season being April and May, and September through November where weather is pleasant all throughout the state. In preparation for their respective high season, resorts in Florida will increase staffing in the weeks leading up to the commencement of the busy season. For job seekers, understanding this seasonality is important in order to maximize hiring opportunities. Although the right job could become available at any moment, the chances of it being available are much greater as a resort ups staffing levels. Generally speaking, visitors to Florida are seeking the same things - sunshine and warm weather. Specifically speaking, visitors to Florida are a diverse group, spanning from the very young to the very old, all with their own unique idea of what makes the perfect vacation. For example, Miami is a vibrant and diverse city with a strong Latin American influence. Miami resorts tend to reflect this, often featuringB trendy design and unique dining. 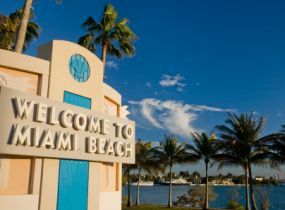 Miami attracts a guest that is looking for more than just beach, but also nightlife and entertainment. This is in stark contrast to what you will find about 90 minutes down the road in Palm Beach. Palm Beach is an older community with more than half of its residents being over the age of 65. Naturally, the people that visit Palm Beach are of a similar profile. Hotels here tend to be less about trend and more about tradition. For someone looking to get hospitality job, it is important to understand what type of situation best suites your personality for a work environment, and also a living environment. Perhaps the quaintness of a small resort on the Florida Keys is ideal, or perhaps the family, action-packed environment of Disney World and Orlando is a better fit. Whether the North or South, the East Coast or Gulf Coast, Florida is a diverse state with equally as diverse resorts and visitors. For job seekers that bring skills and service, there is just about something for everyone looking to find employment at a Florida resort. To read more about landing a hospitality job in Florida, continue reading on in our Member's Section.